Unrefined passed technological filtration has an aroma of fried seed familiar from childhood and differs with a darker hint, may have lees. The season of sunflower seeds processing is from the middle of autumn until first winter weeks. The top of consumers’ demands falls in August –September. The seeds destined for processing should be cleared from a letter, dried, divided from the husk, then are comminuted and as result, we receive oil seed meal. There are two ways to make oil from oil seed meal: pressing and extraction. The technology of hot pressing presupposes heating of the raw stuff temperature about 100 degrees, oil seed meal is stirred carefully and add moisture to prevent of being burnt. Then this consistency is put into press machine, where the oil is forcing out. This oil smells like fried sunflower seeds. The method of cold pressing excludes previous heating of raw material that is why all the useful vitamins are conserved in maximum. The end result is a clear product with a gold hint and with an aroma of crude seeds. In a process of sunflower oil producing by extraction the special solvents, safe for health, are used. The extraction passes in the special containers. When the extraction is over we receive oil meal and miscella. Actually, from these products, the oil is extracted. Then the oil passes the process of settling out, filtration, further working. 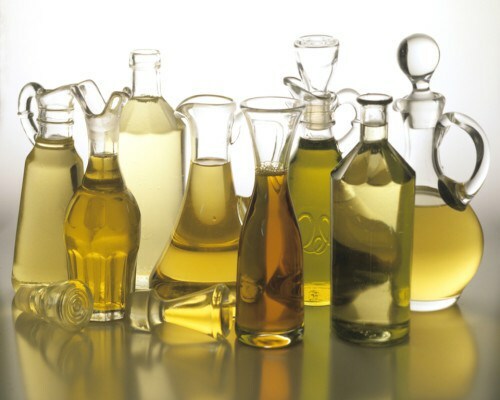 What is the way of refined sunflower oil making? process of freezing for removing waxes, this helps to be thickness. The used technologies allow avoiding human interactions with products: the full cycle of manufacturing is passing on automatics trains that is why we receive sunflower oil of excellent quality for cooking traditional dishes, exotic masterpieces, and food preservation.